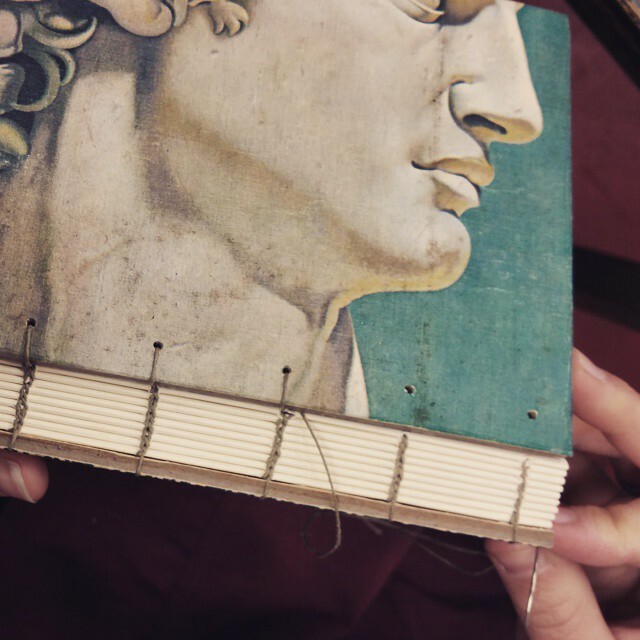 Coptic binding is an ancient bookbinding method in which folded sections of paper are sewn together between rigid covers to create a decorative chain stitch across the exposed spine. 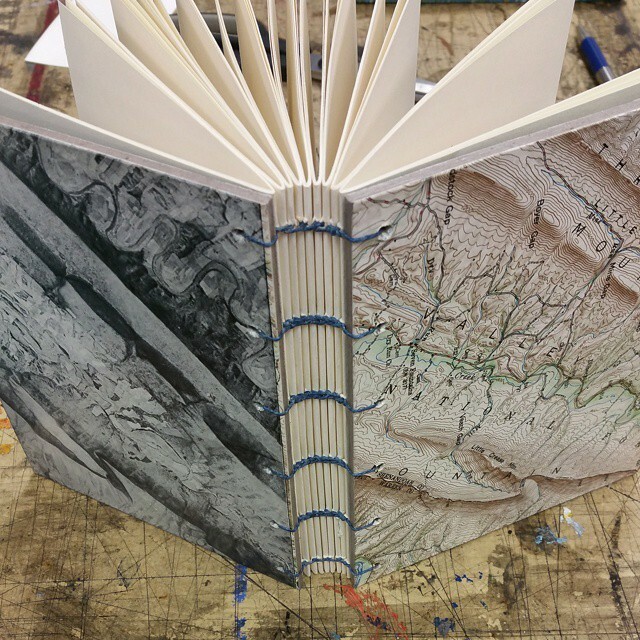 This is an ideal method for binding albums and sketchbooks, as the book can be laid open entirely flat. In this introductory class you will create a book using cover boards that have been prepared in advance*. 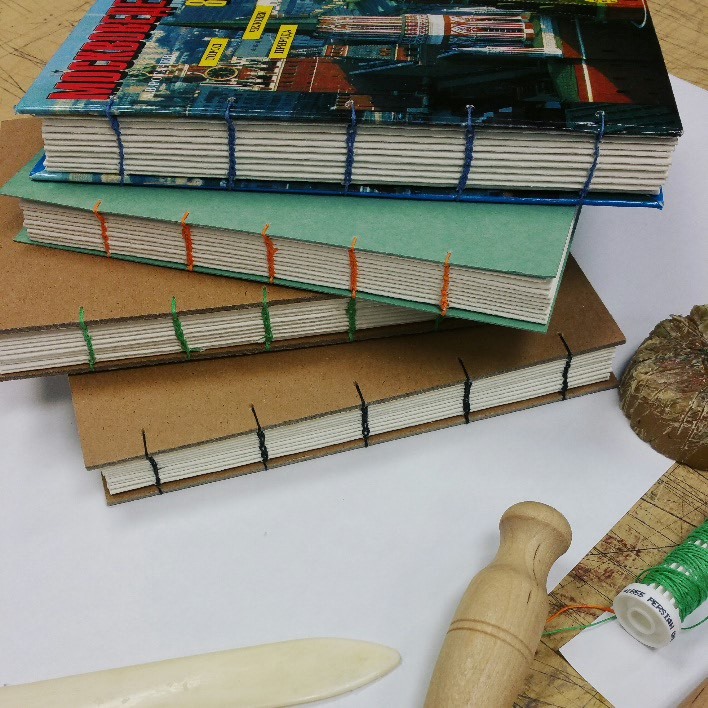 You will choose from a selection of cover boards culled from vintage books, and combine them with a warm, toothy sketching paper to make your unique journal or sketchbook. *if you’ve attended one of our collage parties and made yourself a set of collage book covers, you’ll be able to use those covers in this class if you like! All materials, including paper, are provided, and you will leave the class with a finished book.